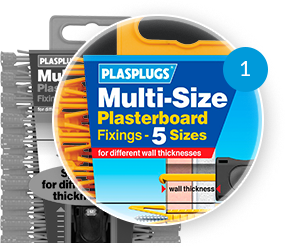 52 x 20 All-in-One Multipurpose Fixings Counter Box. 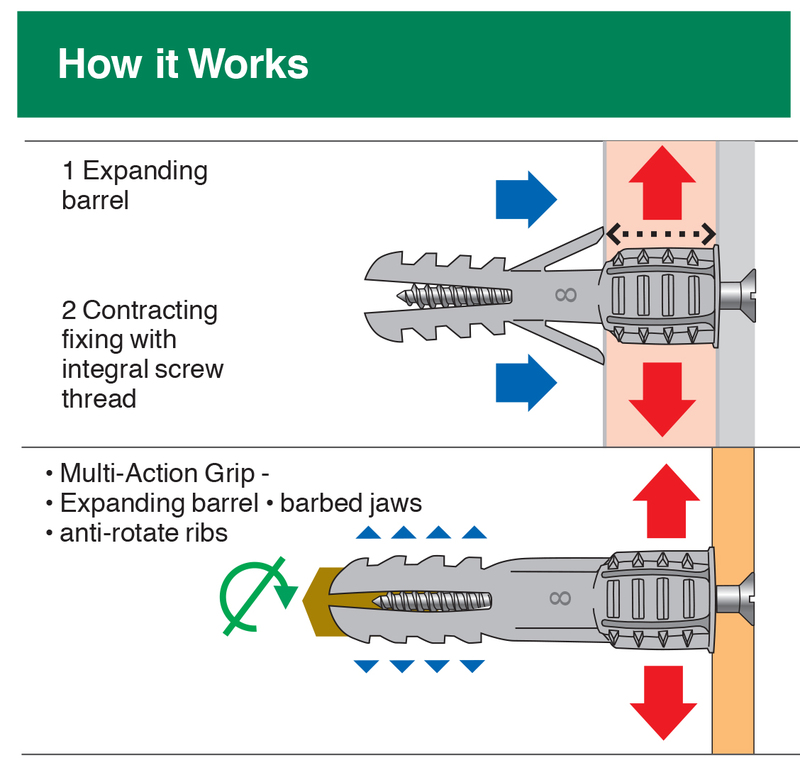 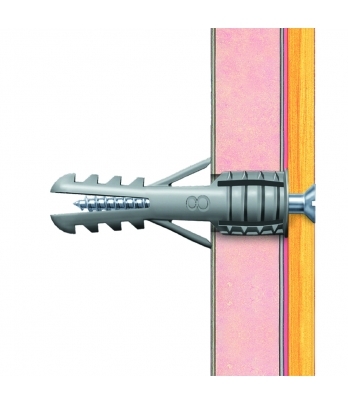 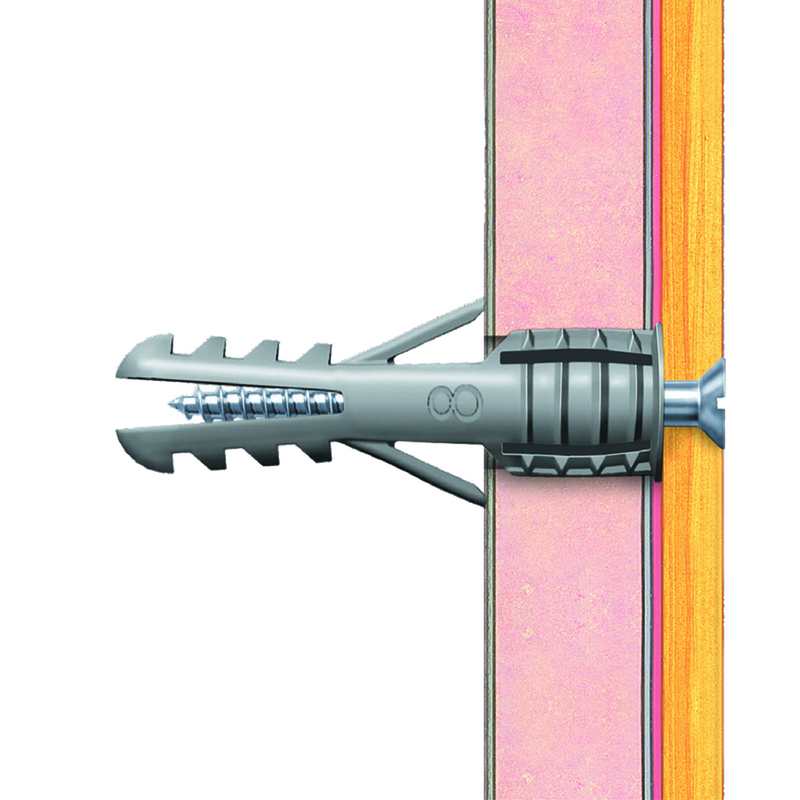 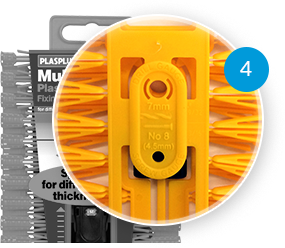 A unique multi purpose plug that will fix into both hollow and solid walls. 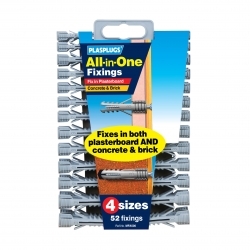 This pack icludes the 4 most popular sizes of fixing; 5,6.5,8 & 10mm. 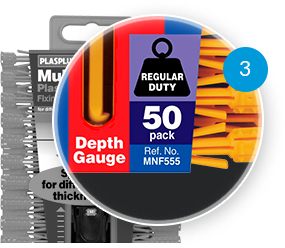 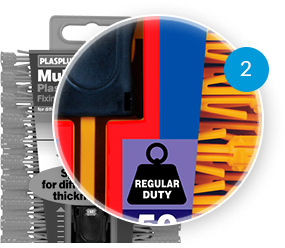 Pack contains drill & screw gauge.